With Halloween being my all-time favorite holiday... I like to celebrate it all month long. So every year at this time I have a month long horror / Halloween marathon. I normally set a goal for myself... but I just can't do that this year... as i have so much to do at this time. But I do still plan on watching both horror movies as well as horror and Halloween themed TV Show episodes. I just hope I get a chance to watch a nice selection! “Bloody Mary... Bloody Mary... Bloody Mary." Sarah's (Kay Lenz) a shy co-ed with a shocking secret. While her outgoing sister (Morgan Brittany) easily gains entry into the most popular sorority, Sarah is cruelly rejected, soon finding a place for herself in one of the college's more bizarre sororities. When the facts are revealed about Sarah's frightening gifts, she must use her own dark powers to save herself. This is a TV Movie from 1978 that I found early this morning on On-Demand to start off my yearly Month Long Horror Marathon. I have found that I really enjoy the TV Movies from the '70s... and have several in my DVD collection. This one is obviously a rip off of Carrie... only instead of set at a high school prom it is set in a college sorority during Hell Week. I enjoyed this one quite a bit. Would love to add it to my collection... but unfortunately this one was never released on DVD (though the remake with Summer Glau was). Though I do hope to eventually add it (as well as the remake) to my collection eventually. While this is an obvious rip-off of Carrie (girl with psychic and telekinetic powers)... they did change it up a little... and I am not just talking about the change from high school to college. But they also added the Shelley Winters character who plays the house mother for Sarah's sorority who also happens to be a witch. Anyway... this is one I definitely recommend. Especially if you are like me and enjoy the older TV Movies. Would love to add it to my collection... but unfortunately this one was never released on DVD (though the remake with Summer Glau was). Though I do hope to eventually add it (as well as the remake) to my collection eventually. Believe it or not I searched Amazon and couldn't find it for some reason. BOO! - In this Emmy®-nominated fan favorite, the Conners kick off a family tradition with a night of increasingly outrageous pranks. 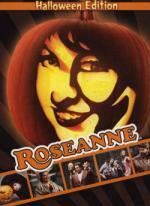 TRICK OR TREAT - When Roseanne wears a lumberjack costume, she learns a few hilarious lessons about 'real' men. TRICK ME UP, TRICK ME DOWN - Jackie flirts with a moose, Roseanne pranks the new neighbors and George Clooney guest stars. HALLOWEEN IV - Having lost her holiday spirit, Roseanne is visited by the ghosts of Halloween past, present and future. HALLOWEEN V - It’s Halloween night at the diner, but the real shocks are about to come from some very unexpected places. SKELETON IN THE CLOSET - A Halloween party at The Lunch Box brings out Leon’s gay friends as well as Bev’s hair-raising secret. HALLOWEEN: THE FINAL CHAPTER - Ed McMahon and Sarah Chalke guest star when Roseanne’s ouija board delivers the most unexpected news of all. It is strange... some reason this has every Halloween episode except one on it. The only one missing is where they did the whole Rosemary's Baby thing concerning Darlene's baby. I believe that was the last season. Maybe Roseanne was still airing when this disc was released? Anyway this is a very good disc. I like having a lot of the Halloween episodes all in one place. 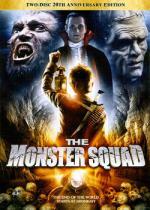 I always liked this series and the Halloween episodes were always my favorite of the series. You can tell they really had a lot of fun making these episodes. Highly Recommended! I got this DVD 6 years ago mainly because it stars Kaley Cuoco (Penny on The Big Bang Theory)... and I enjoyed this film so much that I have watched it every year for my October marathon since getting it! Well to be fair... I always enjoyed the Legend of Sleepy Hollow. And the fact that it has someone I know from weekly TV series is always a bonus. In this particular film the movie takes place in present day... which is nice change of pace for the story (well we do have the TV Series now.. but...). Recommended! I got this last year but haven't watched it yet. I need to watch it this year. I originally heard of the Ginger Snaps movies when a good friend of mine started raving about them to me. I told her I couldn't wait to check them out and the next thing I knew she had given me all three of them for my birthday that year. It is one of those independent movies that you go into it not expecting too much but then you are pretty much blown away by it. Sure... some of the effects aren't as great as they could be if this movie had the budget of a blockbuster movie... but it looks like they did a very good job with what they had. It looks like they used the bulk of the effects budget for the end of the movie... using effects sparingly until then... which really seemed to work well for them. This movie also don't follow all the rules of Werewolves that Hollywood put into place. Of course there is nothing wrong with that. There is one downside... that is the portrayal of the sisters mother played by Mimi Rogers. Which is surprising to me as I normally like her in the things I have seen her in. But this time... not so much. But it could have been more the character then her performance. As she seemed more annoying then anything. But over-all this is a very good movie. Definitely recommend checking it out. Scares are everywhere as Leonard admits to Priya that he's attracted to someone else, and Sheldon pulls a slew of Halloween pranks on his friends. I just finished watching all three Halloween episodes of The Big Bang Theory. I thought they were all a lot of fun. It is really hard to pick a favorite out of the three. But if I had to... I would probably go with the first one. It is a shame that there isn't more Halloween episodes for this series. I caught Ginger Snaps by chance on TV one night and was blown away. It's an awesome film, which makes us realize very slowly that we are actually watching a werewolf flick (it could almost be considered a spoiler to say that...?). It's obviously a story about puberty, just that we are used to see this kind of films with boys, not girls. I have never seen the sequels, are they worth seeking out? Yes they are. It's one of the rare case where the three films in a trilogy are as good. One advice, go for the french canadian releases as they are loaded with extras (I could even suggest to you to douple dip of the first one, but the special edition is costly). Don't worry they are english friendly, but there is no english subtitles or captions. Ginger Snaps 1, 2 and 3. I highly doubt they will be release on blu-ray soon, Lion's Gate own them and they don't really care about their movie catalogue. As Jimmy said... definitely recommend all three. There is a release for the Trilogy available on Amazon UK, which is apparently cheaper (£13.99) than if I get even just 2 and 3 from Canada. It says Special 3-Disc Collector's Edition on the cover and according the rating logo it's not a UK release (maybe Ireland, maybe somewhere else). Here's a link. According DVD profiler it's a Dutch release...? The price is lower but you'll miss all the extras. This a comparaison between the canadian and dutch version.